Let’s face it: The web design industry is very competitive. The barriers of entry are low, the technology (platforms, coding languages and DIY services) are always ever changing and with search engine optimization always keeping us on our toes, the ability to offer exceptional web design at competitive prices is a becoming an increasing challenge. Our company recently “decentralized” our office location and made all our employees work from their home! We realized that nearly 60% of our costs were put towards expenses that didn’t directly involve creating our client’s websites. Things like lease, utilities, insurance, signage etc… Becoming “Work From Home Professionals” was the leg up that gave our business a competitive advantage and allowed us to invest in our employees. There is also an added benefit of working from home which is the tax savings you can collect by claiming your home as a business! Same with other home expenses such as internet/phone costs and car/gas mileage. Over the last couple of decades, there has been a rising trend of professionals working from home and closing their brick-and-mortar location. Web designers and developers, mortgage and real estate brokers, personal trainers are all businesses that can be successfully run from home. This eases the burden of all the overhead costs of a traditional brick-and-mortar location and gives the business owner greater cash flow to run their business! I’m sure we’ve all been to one of those sketchy home business where you knock at the door and a clueless schmuck answers the door! In the 1990’s there definitely was a stigma surrounding those who worked from home. However with the advance in communications, the internet and a wise use of home space, many professionals have transitioned to running their business from home. I happened to be on hold with my cable company’s support specialist who was excellent, knowledgeable and extremely friendly and during a pause, I hear the voice of a cute little girl say, “Daddy, A’m Hungwy” we both realized what happened and I quickly broke the ice by saying I worked from home too! We laughed for a few minutes and then finalized the call. Leading up to that moment, I thought I was dealing with a man in a cubicle on the 20th floor of a corporate building wearing a suit and tie. Bottom line being, you can make a great impression on a client with an excellent work from home environment. Also, as is usually the case, your home office doesn’t have to be the place of business. When needing to deal face to face with a client, we always suggest to meet at their home, office or a location like a coffee shop with Wi-Fi. Many clients feel more comfortable this way also appreciate the time savings by not having to travel. Prior to establishing a home-based business, or becoming a “work from home” professional it would be wise to consider any legal implications to running your business from home or working from home. Although all the legalities would be beyond the scope of this article, the primary ones to be concerned with would be zoning by-laws as well as insurance and liability coverage for you, your business and your patrons. It’s also not a bad idea to inform your neighbors about your business to ensure they are informed. It will also prevent them wondering why so many cars show up at your house hour after hour! Communication and accessibility to all the members of a team is essential. Prior to when we “decentralized” there was a lot of lunch room chat and verbal communication that sometimes was remembered or somewhat misunderstood. Tasks would go incomplete and and also unreported. This is one of the disadvantages of working closely to each other. In our case, all our employees that work from home are always connected in all aspects of our work. Here are some great resources that can improve your business’ communication and efficiency and can help your “decentralized” team stay connected. 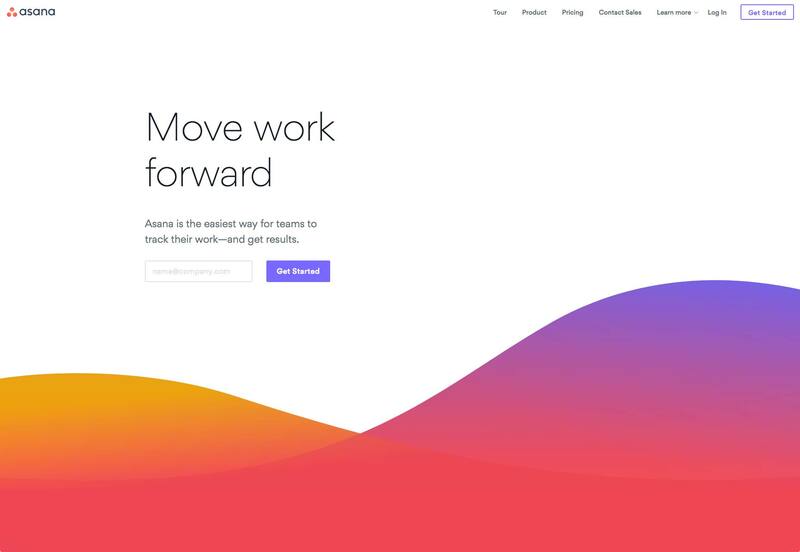 Asana is a web-based team, project and task management software (that also connects via mobile) that allows you to easily assign members to projects, assign tasks or change/reassign projects to members. Each task you create becomes its own work space where you can chat, comment and upload files and also mark as pending/complete. We can easily say that our productivity doubled and decreased how long it took us to complete projects. Upwork is not only a great place to find excellent, experienced and knowledgeable freelancers (many of whom have become our employees) but it’s also an excellent place to keep track of time spent working on projects and making payments. 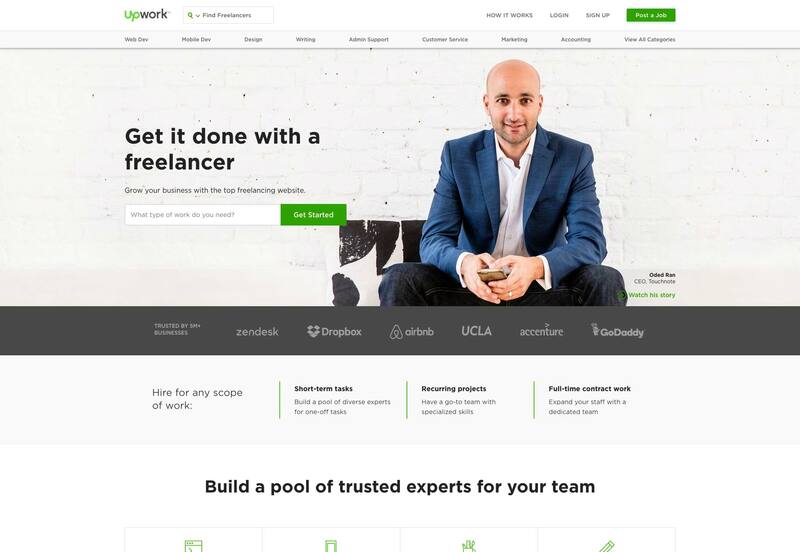 From flat fee work to hourly-waged employees, Upwork will log hours for all employees and issue salaries and payments. 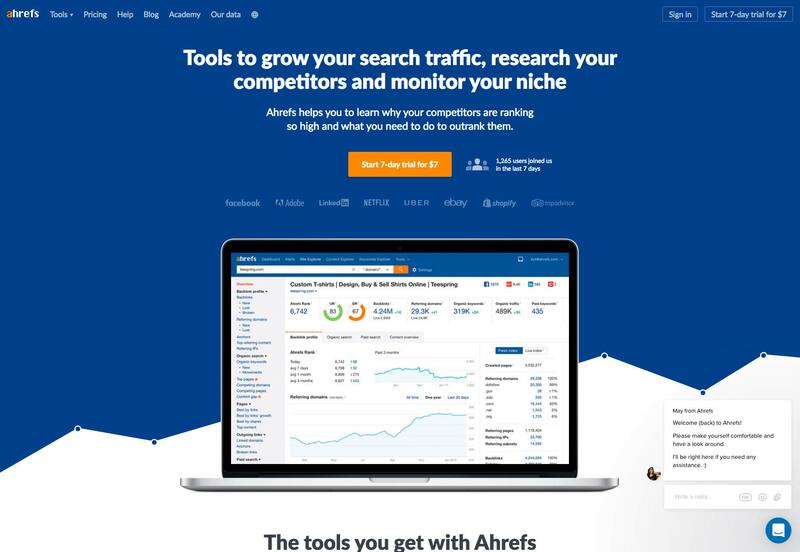 Similar to ASANA, Ahrefs.com is a team and project management tool but specific to Search Engine Optimization (SEO). You can have multiple users assigned to various SEO clients and track backlinks, keywords, competitors as well as an assortment of other tools to help you outrank your competition. 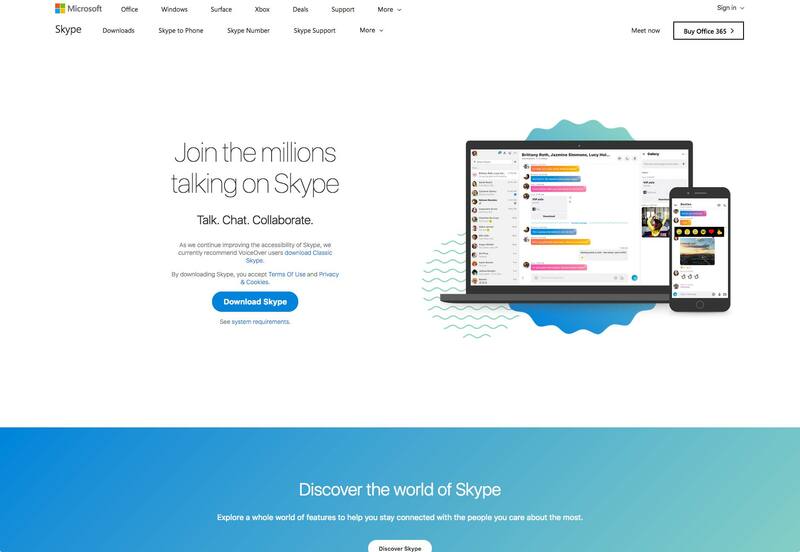 Yes Skype! I recall installing Skype when it was in beta. That’s nearly 20 years ago and I can’t believe it’s still my go to app for quick chats and file transfer. Sure it’s really gotten monetized (at least they aren’t putting ads in between comments) but nearly everyone uses Skype making it super easy to find people. Their chat/video platform is super solid. 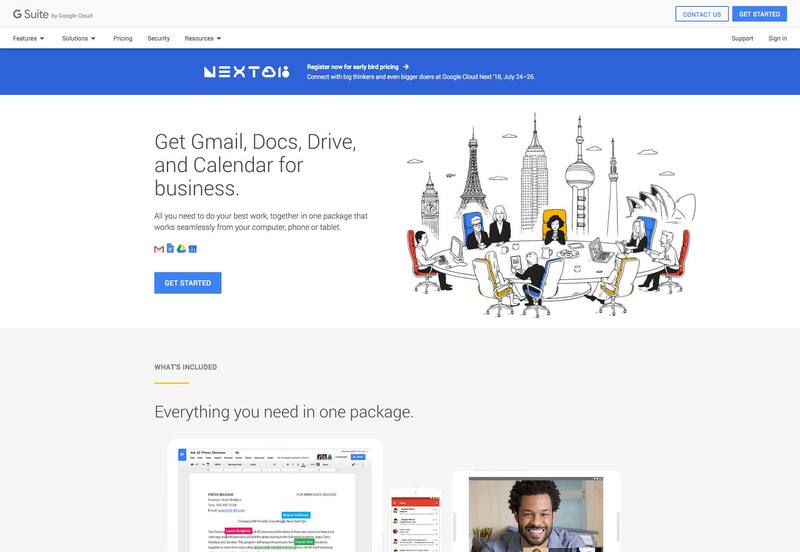 Google Suite, or G Suite as it’s now called, is a productivity and collaboration platform hosted on Google’s platform using Docs, Gmail, Calendar and many other apps and services for your team. From real-time chat to editing documents and tracking changes on the fly. Speaking of team unity, one of the down sides of being decentralized is that sometimes your team members can feel isolated and not in tune with the company dynamics (for example is everyone as excited to work on this project as I am?) — something that is evident in a traditional workplace setting. As the “boss” or the team leader it’s crucial to pre-emptively address this situation. In our case, we make sure to include regular “face-to-face” meetings whether they are informal “social” meetings or brainstorming and ideation meetings. Brainstorming meetings are always great when we receive a new client and try to get the team on board with the goals of the project. Although many of our collaboration and communication tools help us greatly to organize and complete tasks, nothing beats the efficiency and speed of brainstorming face to face. Frequently interacting with your team members also allows you to gauge the state of mind, enthusiasm and job satisfaction from a behavioral and physical perspective. We all know the importance around optimizing search engine rankings by focusing on “local SEO” such adding local citations and optimizing on Google Maps. For many of us who are set up to properly help clients from their home office, this isn’t a concern. For those who would prefer to conduct business outside of your home, it is still highly recommended to have a physical address (this could be your home or perhaps a shared workplace address) and instead, make your viewers clearly understand that it’s by appointment only or call to schedule a meeting. We’ve actually found that our clients prefer to meet at their location as it they feel more of a sense of comfort and also appreciate the time savings of not having to travel. It’s clear there are many cost savings and taxable benefits by becoming a work from home professional. Those savings can play a large role in helping you become more competitive and can help create a better company. Reinvesting in our employees either with new equipment, training and even pay increases (with fewer working hours) has made everyone feel empowered to do a better job. This also means you can consider investing in various ways of marketing from Google AdWords, local print/radio and even improve the look and feel of your print materials and business cards. Next articleWhat’s the Best Font for Your Resume or CV?